Every February, CUPE celebrates Black History Month (also known as African Heritage month) when we pause to reflect on the efforts of the many union activists and community organizers of African descent who lead the fight for inclusive communities and workplaces. This fight happens every day, as CUPE members bargain for more inclusive and equity-based language in our collective agreements, challenge racism in our governments, workplaces, schools and our communities, and contribute to on-the-ground organizing and mobilizing. We are grateful to all those who are working to build a non-racist world in our unions, workplaces and communities. Canadian society has seen a lot of progress over the decades, but the realities of differential treatment towards African Canadians continue. At the global level, the United Nations Working Group of Experts on People of African Descent is educating people on the history of enslavement, discrimination, bigotry and criminalization. We can all learn from this history as we deal with systemic barriers that continue to confront Black people. The UN General Assembly has proclaimed 2015-2024 the International Decade for People of African Descent to promote and protect their human rights. At our 2017 National Convention, CUPE delegates passed a Strategic Directions document that commits our union to fight racism and hatred in all its forms and to empower our members to speak and act against discrimination. Delegates also adopted a resolution to pressure governments to eliminate racial profiling, and to publicly oppose any legislation that promotes and supports it. Racial profiling is an invasion of privacy and a form of discrimination, which violates Canadian human rights law. As a labour union, we are committed to negotiating and enforcing collective agreements that do not tolerate discrimination. We continue to fight against racial harassment in the workplace and work with our allies to pressure governments to adopt employment equity legislation. 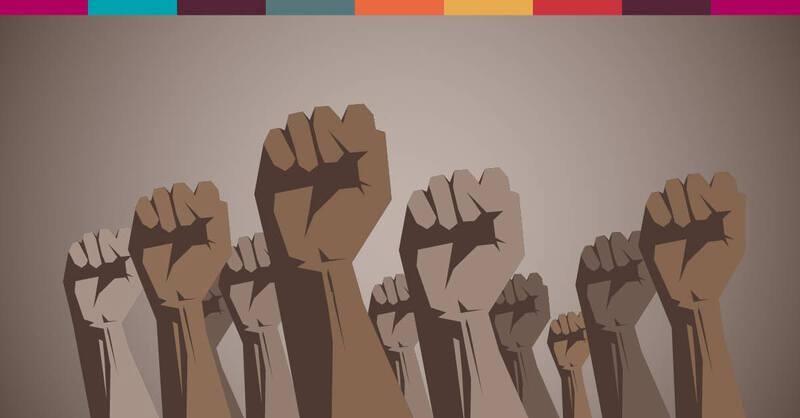 Check out CUPE’s landing page on Black History Month [link forthcoming] to view learning resources and to read about events in your region. Order free copies of CUPE’s anti-racism brochure Diversity, our strength and our Black History Month bookmarks from cupe.ca. Invite a Black activist or community organizations to speak to your local. Ask for CUPE’s Creating Racial Justice workshop, Human Rights workshop and anti-oppression workshops to be delivered to members in your region. Lobby your government for the implementation of legislation that addresses anti-Black racism in your region, including employment equity legislation. Support community organizations and movements such as Black Lives Matter and other community organizations that fight against systemic racism and violence. Visit blacklivesmatter.ca or follow #BlackLivesMatter on Twitter. Bargain employment equity language into your collective agreement to help ensure that your workplace represents the diversity of your community. Stay tuned for CUPE’s new ‘bargaining employment equity’ guide, which will be part of our bargaining equality resource collection.